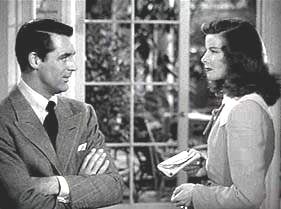 The cast includes: Cary Grant, Katharine Hepburn, Jimmy Stewart (Best Actor Oscar), Ruth Hussey, John Howard, Roland Young, Virginia Weidler, and Mary Nash. 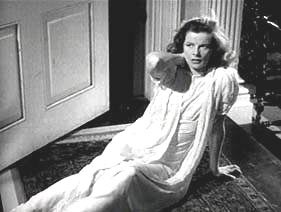 Katharine Hepburn’s performance as Tracy Samantha Lord in this movie gave her stalled movie career a huge jump start. 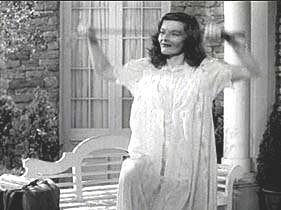 The studios had at first planned to have Joan Crawford play the Tracy Lord part, until they found out that Katharine had bought the rights to Philip Barry’s play. Her transformation from being a chilly, “ice maiden”, to a caring, repentative woman, shows her true acting talent. 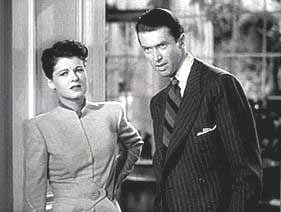 Carry Grant, as Tracy’s ex-husband, C. K. Dexter Haven, has the audience guessing as to whether he truly had a revengeful agenda, bent on getting even, or a man still in love with his ex-wife, who for some other reason was forced to cooperate with a shady newspaper, and falsely introduce Macaulay (Mike) Connor (Jimmy Stewart). The photographer, Elizabeth (Liz) Imbrie (Ruth Hussey) as friends of a mutual friend of Tracy and Dexter. Will he help his ex-wife out of the mess she is in, try to win her back, or seek only revenge? Clues are given throughout the movie, and his true feelings are shown toward the end of the movie. 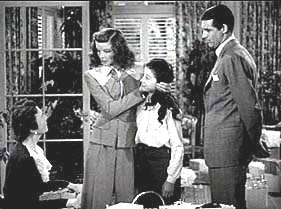 Jimmy Stewart and his female photographer are introduced to Tracy, and become house guests to stay until Tracy’s wedding. 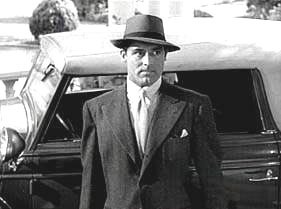 Jimmy Stewart was in reality, a hardened reporter, there to get a negative story on Tracy Lord and her upcoming wedding, for his creepy newspaper boss. 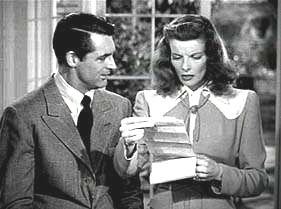 However, as the film evolves, he finds that he has feelings for Tracy, and looks for a way to help her also, with the creepy newspaper, her love dilemma, and with cleaning up her shaky reputation as well, resulting from having too much to drink at her pre-nuptial party. His performance earned him a Best Actor Oscar. 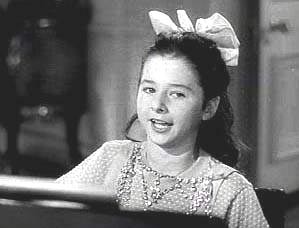 The other supporting cast added much sparkle to the story, especially Tracy Lord’s Uncle Willie (Roland Young), and the talented child actress, Virginia Weidler, who played the little sister, Dinah Lord. 1) The most famous scene of the movie was at the very beginning of the movie, which gives the audience the idea that no love exists between these two people. Carrie Grant is moving out of the house with his suitcase in his hand, looking really steamed. 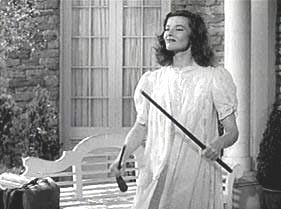 Katharine follows him out to the front porch, and vindictively breaks one of his wooden golf clubs, using her leg as a brace, glaring hatefully at him. 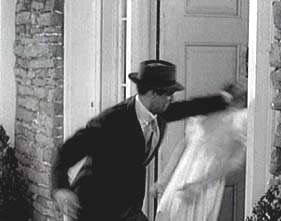 Cary Grant storms back on to the porch, pushes her down and storms away with his surviving golf clubs in tow. 2) The Pool scene and following sequences: Unfortunately, Tracy Lord gets herself into a pickle at her party on the night before her scheduled wedding. Feeling really conflicted on who she really loves, (Jimmy, Cary, or her fiancee), she gets really plastered and goes with Jimmy Stewart to the pool area. 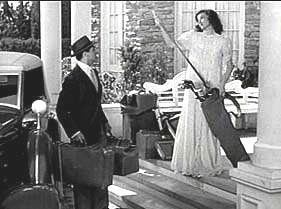 Cary and the fiancee both arrive at the pool area to see Jimmy in a bathrobe carrying Tracy, also in a bathrobe across the pool area and, after a rather funny exchange with Cary and the fiancee, carried her up to her room. This must of made the 1940 audience wonder if anything of the intimate nature had taken place. 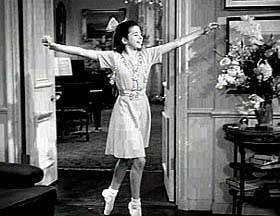 The script had fun teasing the audience, and the other characters as well, especially Tracy, as she can’t remember a thing, and wonders if her foot slipped. This whole experience completed the change in Tracy, now a different woman than she was in the beginning of the film. She was able to forgive her father for his affair, and asked his forgiveness for being so high-handed and rude. 3) Sequences before the Wedding scene, and the Wedding itself: After many funny, if squirmy and clever, exchanges between the dynamite cast, Tracy realizes that her fiancee isn’t her match at all, and after some twists and turns in the plot, she winds up marrying Dexter (Cary), again, because both had changed enough so that their love, could now grow and flourish this time in a more successful marriage. This reviewer highly recommends this film, as it will entertain most people. 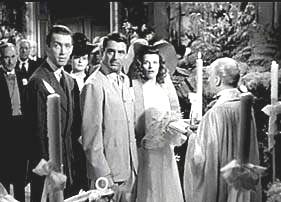 If you enjoyed THE PHILADELPHIA STORY, you may like MY MAN GODFREY, ARTHUR, and EMMA.